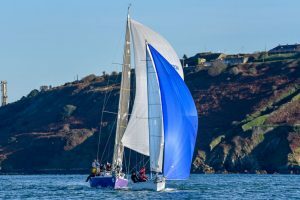 Bright sunshine and a blue sea with an eight to ten knot northerly breeze greeted competitors for the third day of the O’Leary Insurance Group Winter League. The first mark on the course was the Corkbeg buoy. Some competitors chose to sail beyond it to head for the eastern shore. This allowed them to avoid the worst of the ebb tide for the hard beat up to number thirteen ,passing the Whitegate Refinery jetty on the way. 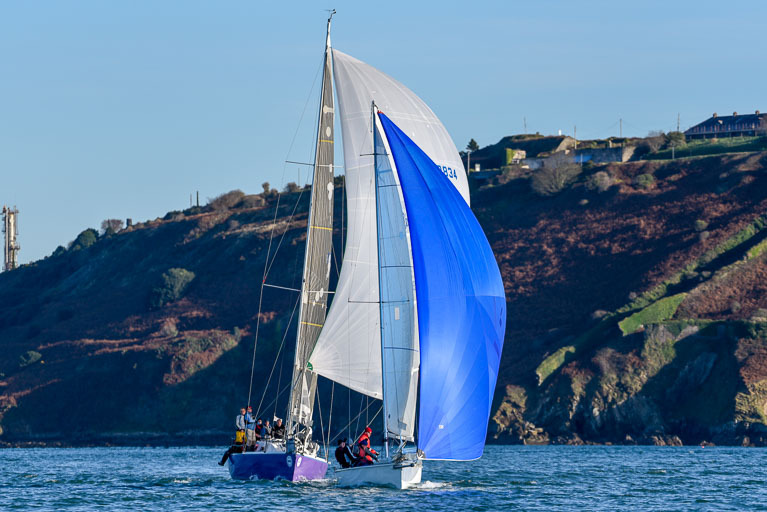 Once rounding thirteen it was a slalom course all the way home ,a run to number eleven, a gybe and reach to number ten,a further gybe and reach to Corkbeg ,more gybing and reach to the finish between Adrielle and Cage Buoy. 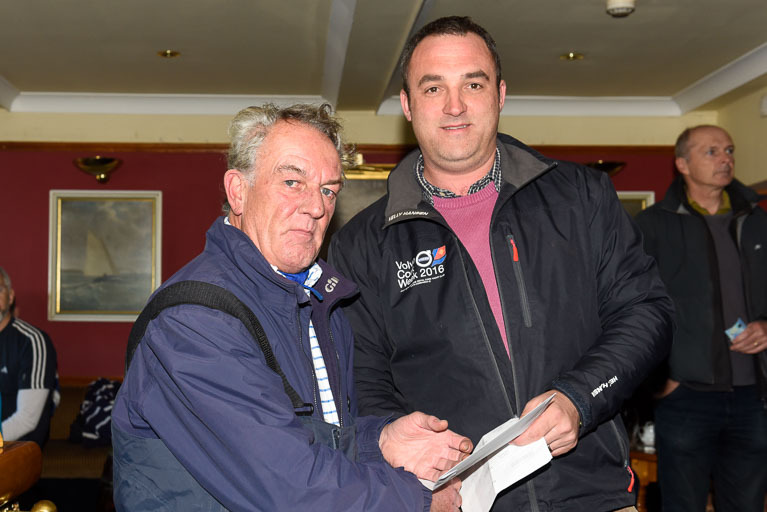 Race Officersfor the popular winter series were again Clem and Wendy Mc Elligott. 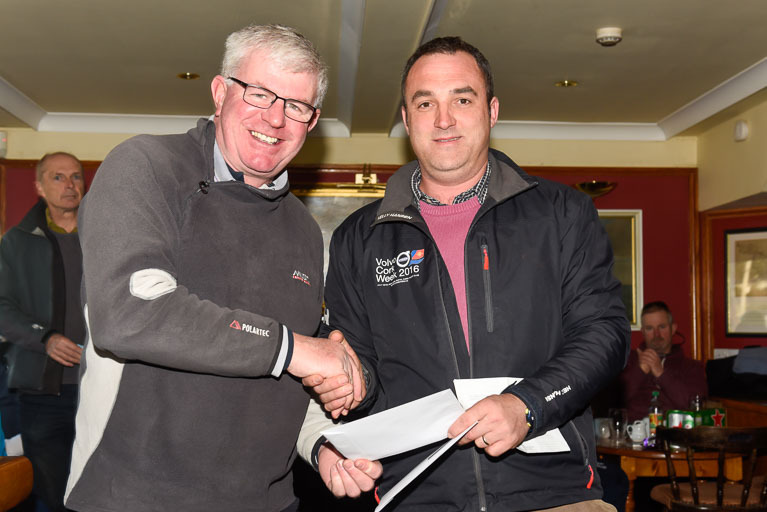 Denis Murphy receives his prize for winning IRC Overall at today’s race from Kieran o’Connell Rear Admiral Keelboats.